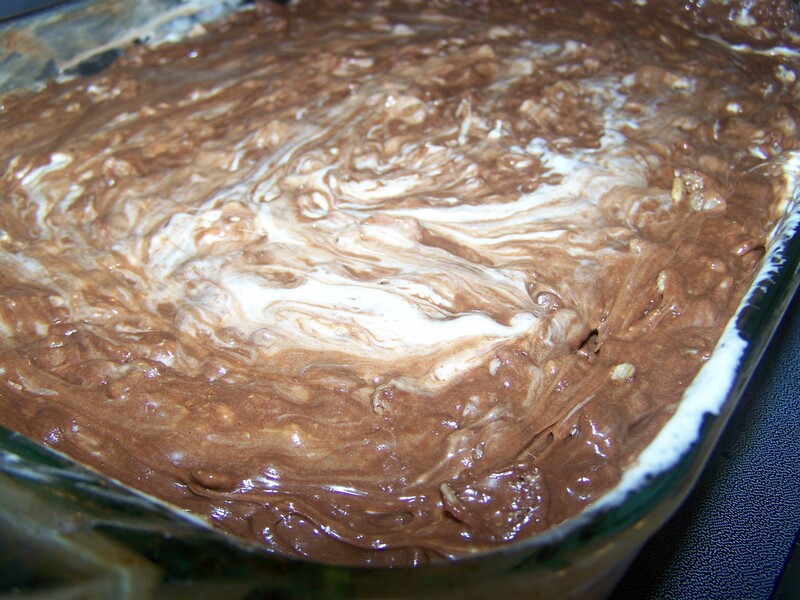 I was searching for a good brownie recipe when I came across this delightful one in my Better Homes and Gardens Cookbook. I knew I’d found a winner when the recipe called for peanut butter. The combination of creamy peanut butter, chocolate, rice crispy cereal and marshmallows atop cake-like brownies is out-of-control. 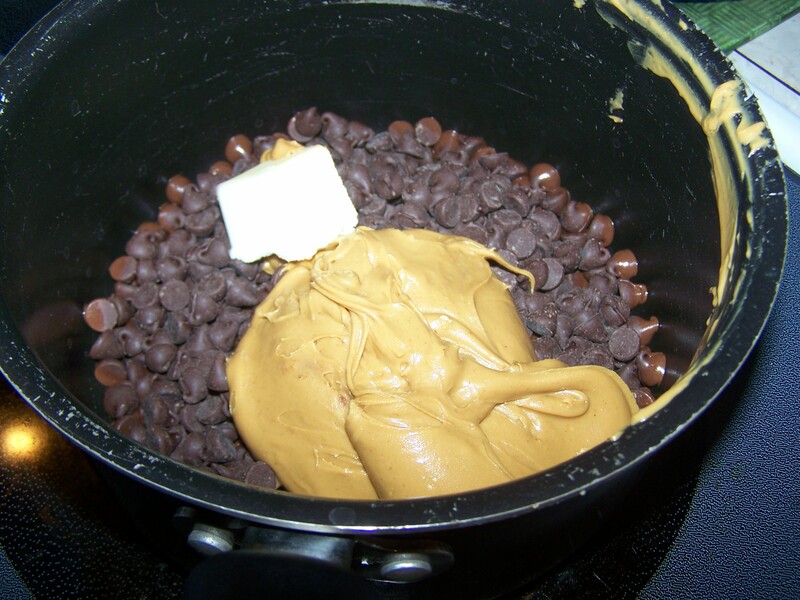 Start by combining a 12 oz bag of semi-sweet chocolate chips with 1 tablespoon of butter and 1 cup of creamy peanut butter. 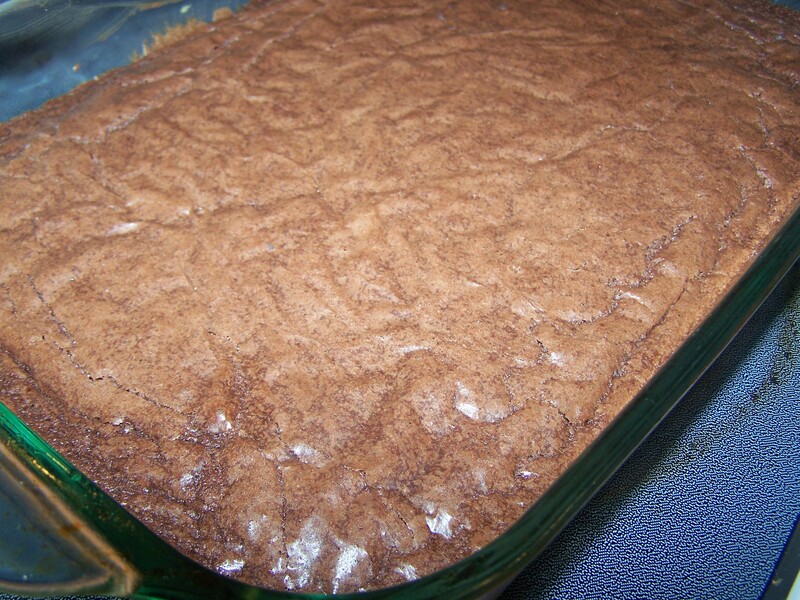 Meanwhile, bake a batch of brownies using a brownie mix and follow package directions. Easy, right? 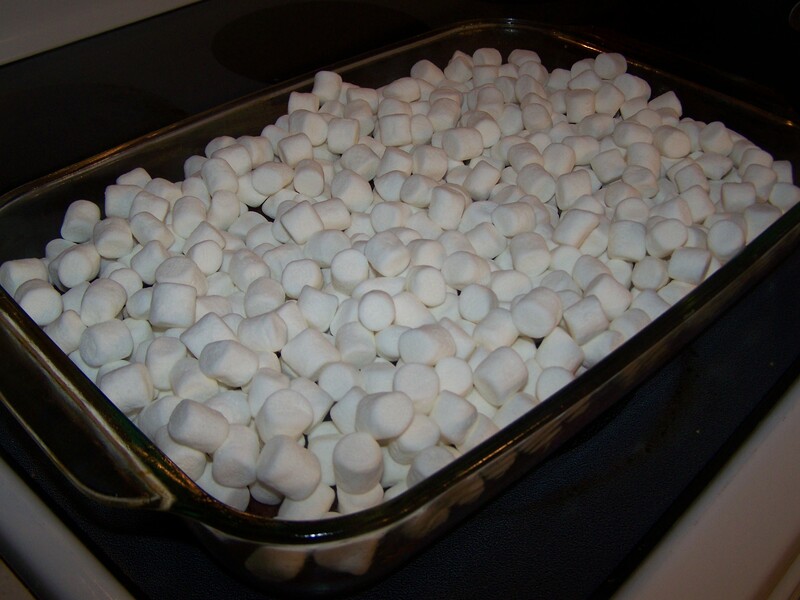 Top the brownies with a bag of miniature marshmallows and pop in the oven for a few minutes just to get them gooey. 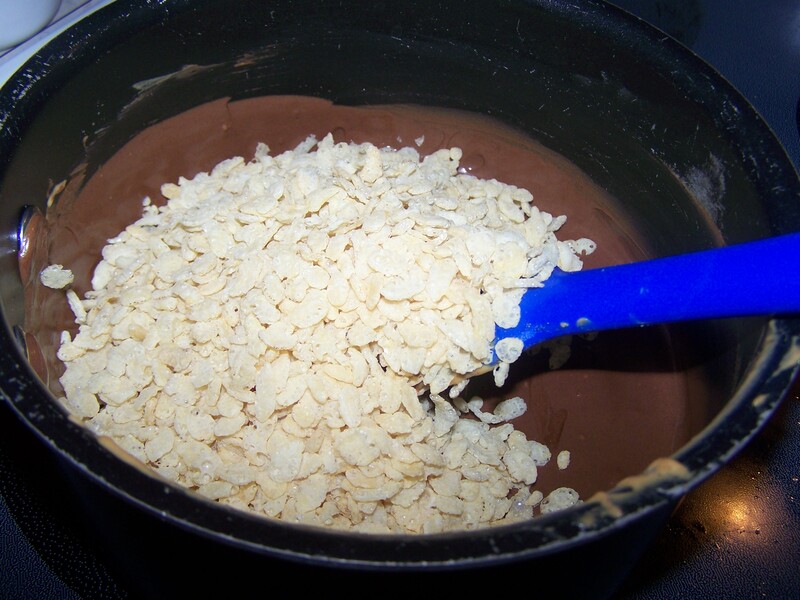 Add in rice crispy cereal. 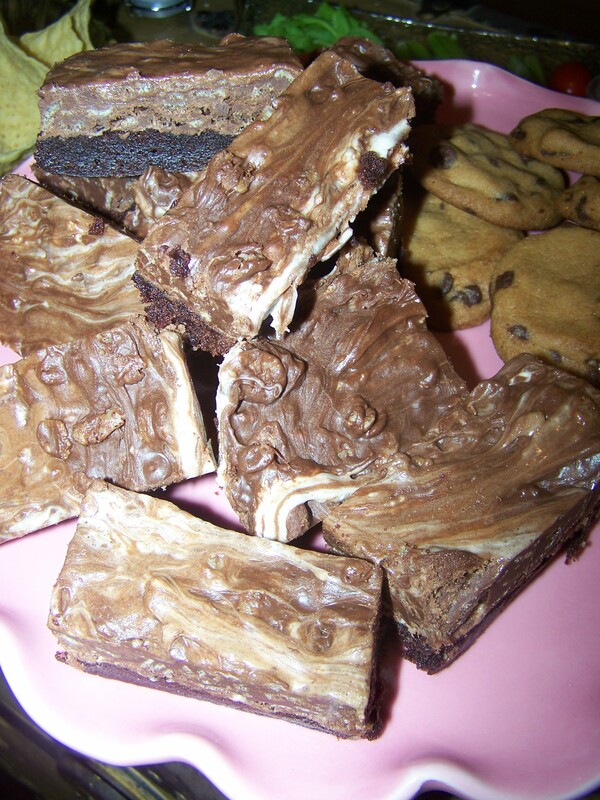 The cereal provides some nice texture and gives the brownies that little something special that makes you go, mmmm. Once the marshmallows finish baking, they’ll resemble a white cloud, a soft pillow. Don’t be scared of it. 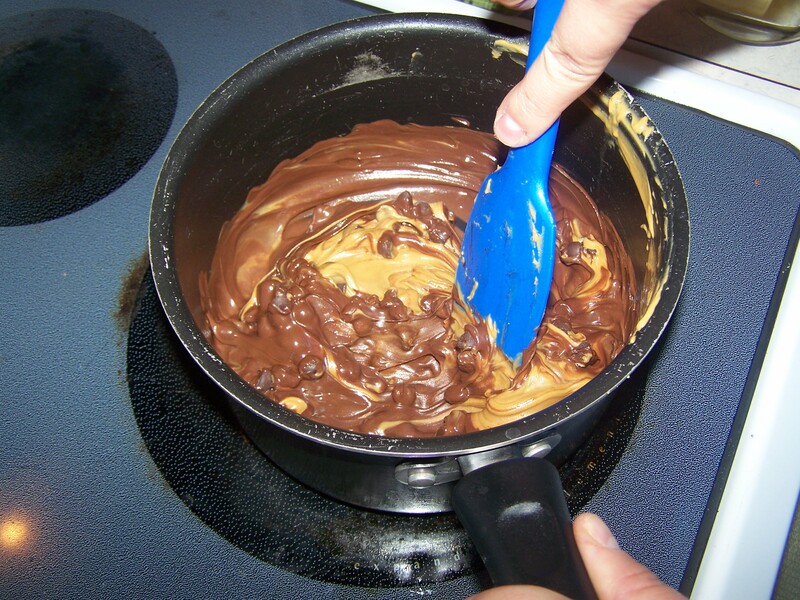 Just pour the chocolate/peanut butter/rice crispy mixture right down over the top of it and spread evenly. It will be messy, but just show it who’s boss. 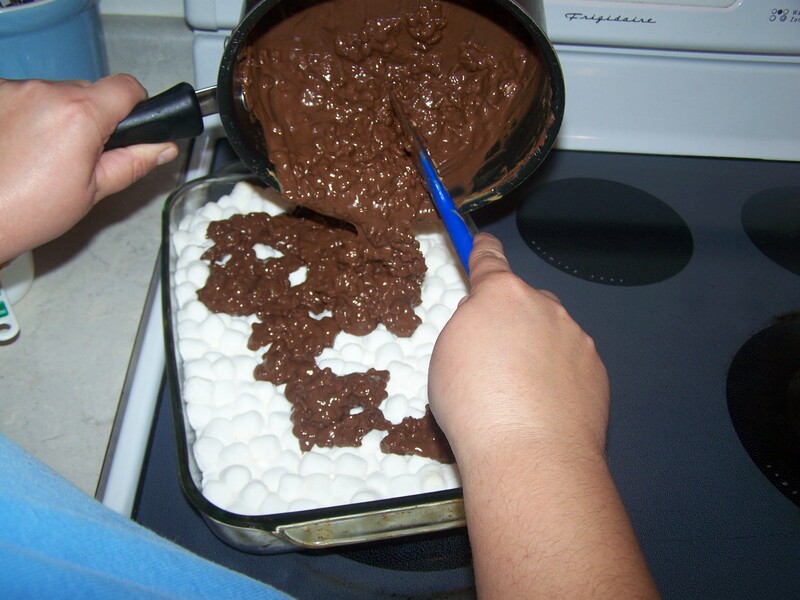 Once you’ve spread the chocolate mixture over the marshmallows, your work is done! Put that puppy in the refrigerator and let it set for at least two hours. Check out those pretty layers!! Decadent and divine. Enjoy!